Lymington is a georgian market town, situated on the southern tip of the New Forest and a short ferry ride from the Isle of Wight. 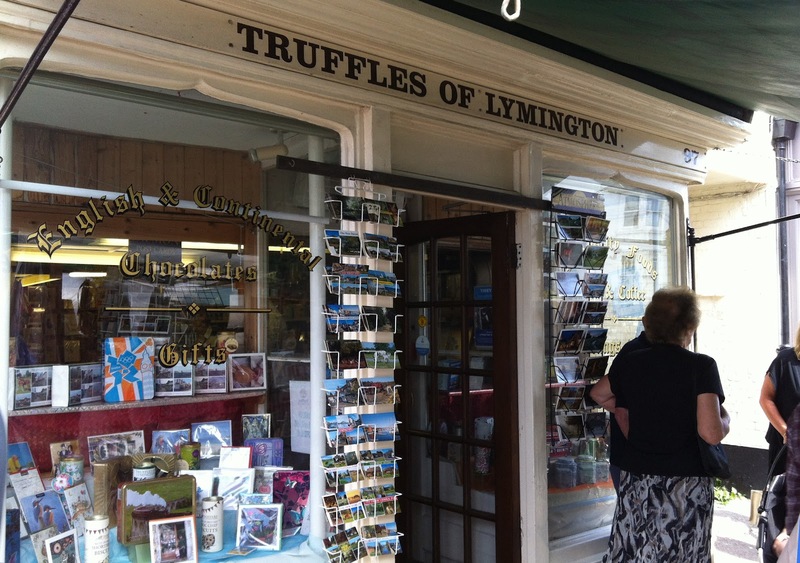 Lymington is also owner of a new gold post box thanks to Ben Ainslie and his achievements in the 2012 Olympic games. See BBC video here. 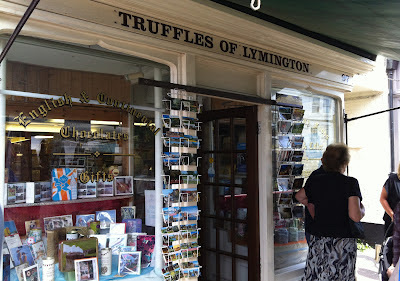 Truffles of Lymington is a local shop with not only a chocolate counter, but a tea counter as well - two of my favourite things! 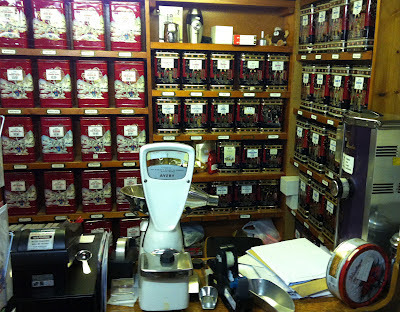 This is the way a tea shop should look, lovely vintage tins and a pair of scales. Not to mention this range to choose from; from the better known Taylors of Harrogate and teapigs to some interesting Turkish teas i haven't seen before. If you fancy sitting down to a cup of tea in a lovely setting, take a stroll down the hill and you'll see Stanwell House on the opposite side. This boutique hotel is quite reasonably priced considering the level of service and there's a 'ladies who lunch feel' in the conservatory and outdoor patio. I opted for a Darjeeling Tea (Twinings Darjeeling tea review to come next) and i loved how it was presented on this tray set - beautiful. 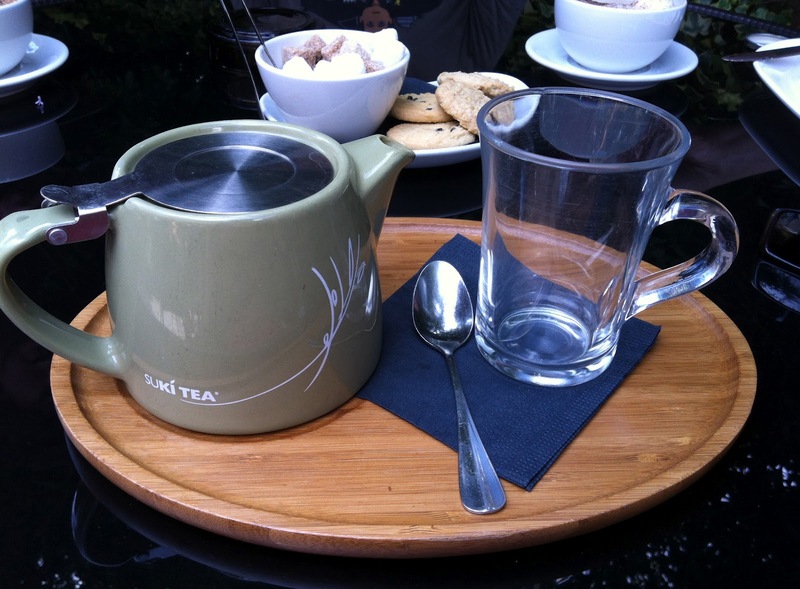 These Suki teapots are really nice and Suki tea is whole leaf and fairtrade so i hope to try more of this.